Keeping employees happy in their workplace is key to lower staff turnover and higher productivity levels. For example, if you’re in human resources, you probably love finding new ways to ensure your employees are happy and fulfilled. Getting your whole office involved in new green initiatives is an excellent way to get people working as a team and having fun. Going green is more than a fun new trend, however. The ‘green’ in the phrase stands for the earth: thus, going green is a daily realisation of how your lifestyle affects the natural world and what you can do to be more earth-friendly. Irresponsible use of substances such as plastics – as well as unchecked fumes, chemicals, and waste material from man-made factories – contaminate the natural environment. These contaminants can be spread by water, air, and produce, ending up in our farmed plants, fresh water, and even fish and other animals we eat. Being ‘green,’ or ‘eco-friendly,’ is very important for protecting what plant, animal, and human life we have on the planet, as well as preserving our natural resources and healthy environments for future generations. There are many ways to improve your overall staff satisfaction. One is to do something good for the earth while improving the happiness levels of your employees. Many modern employees consider environmentalism important, and bringing a ‘green mindset’ into the work environment may just help keep your employees motivated and invested in their jobs. Studies show that employees who work at eco-friendly companies have higher opinions of their employers, as well as greater productivity. 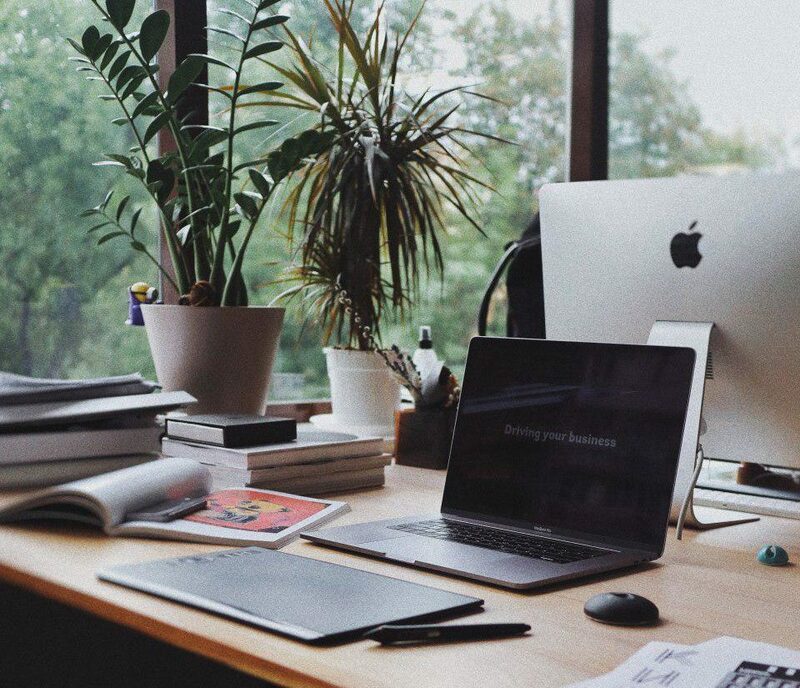 If you’re ready for your office to become greener, here are some simple, cost-effective ways you can incorporate environmental values into the workplace! If your employees often bring their lunch in single-use plastic containers or regularly eat out at fast food restaurants, you might like to implement plastic-free days at the office. To avoid discontent, why not arrange a potluck lunch and provide reusable plates and cutlery, or even provide small prizes or vouchers to everyone who manages to avoid plastic for the day. To minimise plastic, try buying stock in bulk or request environmentally-friendly packaging materials when you place orders. You can also encourage your employees to bring their own reusable cutlery and food storage/takeaway containers to work, as well as reusable mugs to work if they have the habit of going out for coffee – with most single-use cups ending up in the landfill, you can have a great impact if you use reusable cups. Volunteering together is a great way to promote teamwork, and will, with any luck, leave your employees feeling satisfied and fulfilled. You could organise days out for employees to spend time working together for a local environmental charity, or encourage your team to fundraise for a charity through something like a bake sale or fun run. Also, you could organise a clean-up for your local beach or park, where your employees work together to pick up all the trash that has been left in a local area. This is a great way for your team to have fun together helping to clean the environment, as well as raising awareness of how important it is to look after our natural resources – if we don’t, nobody else will! Instead of relying on unpleasant, unnatural lighting, why not try to bring in natural light to your office? Studies have shown that people work much better and accomplish more in natural lighting, in part because they don’t suffer from the ill-effects of harsh lighting. If you aren’t able to have large windows fitted, you may want to reposition your desks. By making full use of your windows, you will reduce your consumption of electricity and help your employees feel much better – thereby allowing them to get more work done. If the jobs in your business allow for workers to work remotely (for instance, call centres or IT consultation), why not try something different and offer your employees the freedom to work from home? Working from home can help ensure your team isn’t adding to their carbon footprint through their commute and can even make them more productive. If implementing a working-from-home program would suit your business, you could start by offering your employees the chance to work away from the office a couple of times a week, and watch the job satisfaction and productivity soar! As we spend more time than ever indoors, and although the negative impacts of this lifestyle change are still being researched, there is no doubt that being in and around nature is good for us. Just having plants in the office can help greatly in reducing stress. Take advantage of how looking at nature can help us feel more relaxed, and decorate your office with a few well-placed plants. Studies have proven that having greenery around the office is great for improving staff attention spans and even your mood! To start with, you might like to gift each employee with a small plant for their desk, so they have a little piece of nature with them throughout the day. If your goal is to help your employees to be happy and productive, going green is one of the easiest ways to fulfil it. Going green will help you and your employees, and will also minimise your company’s impact on the earth. Here at The Sustainability Project, you can find a wide array of items that can help kickstart your journey of becoming as eco-friendly as you can be. Check out our amazing range of beeswax wrap, stainless steel straws, sustainable produce bags, and much more here!